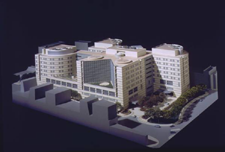 The Center for Advanced Surgical and Interventional Technology (CASIT) was conceived following the 1994 Northridge earthquake, when the Federal Emergency Management Agency indicated that it would be necessary to build a replacement hospital at the Center for the Health Sciences at UCLA. The design of the operating room, or the interventional floor, was a major challenge. The state-of-the-art of surgical technology was moving ahead rapidly, and the task was to try to predict surgical technology in the 21st century. It became obvious that it would not be possible, due to the continuing rapid advances in technology, especially in computing power and the development of smaller and more powerful microchips. For this reason, it was decided that "the best way to predict the future is to invent it," and, therefore, the idea emerged to form a center, which would create new interventional technologies and contribute to their evolution. The Dean's office of the David Geffen School of Medicine at UCLA, the Gonda Family Foundation, the Wunderman Family Foundation, and industry partners all made major contributions to the center. More recently, the Telemedicine and Advanced Technology Research Center (TATRC) of the Department of Defense (DOD) has become a major partner. The goals of CASIT were to enable the development of unprecedented accuracy and precision in the performance of minimally invasive procedures, to deliver novel surgical and interventional therapies to patients, and to develop a greater interventional capacity through robotics, informatics, and simulation. 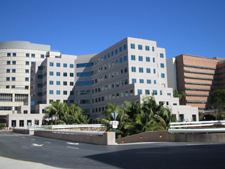 Since the future of surgery will be dictated by engineers, surgeons, and industry, it was key to develop partnerships with industry and to include all of the interventional departments in the School of Medicine, as well as UCLA Bioengineering, and the California Nanosystems Institute (CNSI). Both medical and surgical disciplines have operated basically as cylinders with each discipline in its own space, scattered throughout an institution. The future will see an integration and fusion of these disciplines.